The 25-kilometer journey will begin in Central London, close to the famous Trafalgar Square. You will see many of London’s attractions at its center, such as the Buckingham Palace, Big Ben, the river Thames, when the minivan is close to central London. If you take the variant from the airport to Central London, you will be picked up from the specified terminal. You needn’t have to go through the hassle of finding a means of transport, which might be a taxi or some form of public transport. Having to carry your bag up to that particular bus terminal or train station can also be a problem. You can easily load and unload your bags on the minivan, making this the most comfortable mode of transport, especially if you have heavy baggage. Hiring a private taxi is also a good choice, but it is much more expensive. A shared transfer is the best option since it is affordable and convenient. The ride will take approximately an hour, and you will get a chance to experience Britain on this short trip. The trip will take approximately an hour, owing to the traffic in and around London. Airport to Central London - You can enjoy a comfortable shared transfer from Heathrow Airport to Paddington Station in Central London. 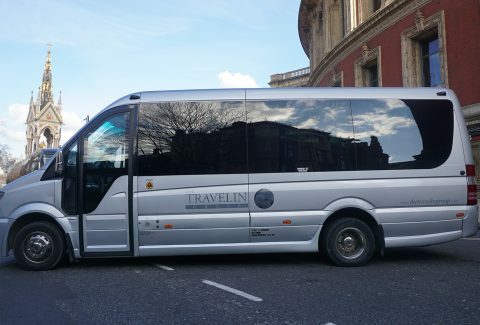 Central London to Airport - You can enjoy a shared transfer from Paddington Station in Central London to the bustling Heathrow Airport with this variant. You will receive an email confirmation with your Heathrow Airport to/from Central London Shared Transfer ticket voucher shortly. Please take a printout. Show the printout with a valid photo ID at the meeting point. For Terminal 4 & 5 arrivals, the pick up will be from the respective Costa Coffee.